Ocean's Palette is committed to producing the highest quality and tastiest products. 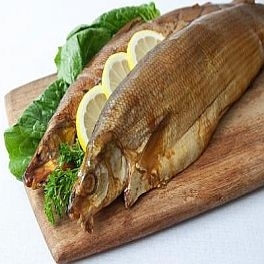 Their Great Lakes caught White Fish is brined using their treasured recipe, smoked with natural wood, resulting in a delectable product. It is then hand packed to ensure the finest quality. Made without any preservatives, artificial flavors, or additives.